In an effort to support my company and their support of the Children’s Miracle Network, I will be offering copies of my first novel “In the Shadow of Angels” on kindle for $1.99 from September 14th-21st. Any and all royalties earned, not just due to this promotion, but all within the month of September, will be donated to the Love’s campaign for the Children’s Miracle Network. I have also placed the price of a physical copy of this novel to $9.99 through the end of the month. Any and all royalties earned from this will also be donated directly to the Children’s Miracle Network. The Audible version of the book is also available, but gives me much less leeway. I can’t offer a promotion on the audio version, but I can say that I will donate any and all money generated from the audible version to the cause. So, grab your copy (at a reduced price) and help the kids! I haven’t posted a book review in quite some time. This isn’t’t necessarily intentional. I just spend so much time driving on my days off now that there isn’t time to read the books and/or write the reviews. I am breaking that silence now with hopes of pointing you toward Bruce Hartman’s latest work. His latest book is called Potlatch and is a story told with the same wit and humor as Big Data is Watching You!. If you aren’t familiar with Hartman’s satirical works, let me paraphrase what I wrote in regards to another of his stories: “Bruce Hartman does to contemporary fiction what Douglas Adams did to Science Fiction and Terry Pratchett did to Fantasy.” Please note that I only call it contemporary fiction because I don’t believe what he is writing about is dystopian; it is all happening in the real world, right now! Potlach is essentially a story about Alice Coggins and her lazy but industrious scam-artist father Ray (although the term politician could be used interchangeably with the much-less-offensive term ‘scam-artist’). Ray has long known that the entire world economy is a house of cards -or hundreds upon hundreds of card houses stacked one on top of the other like a slightly less stable game of Jenga®- but he’s never had the resources to get to the top level: Non-profits. If you want to make real money, you have to be in the Non-profit game. Ray has a spark of genius when he realizes that he could add his own house of cards right to the top level with nothing but a winning smile and a worthless scrap of paper -all perfectly legal and proper. All he has to do is outsmart a sea of corrupt politicians (or just politicians, if you prefer), ponzi schemers, dubious insurance companies, devious bankers, and shill-bidding Non-profit companies to make it happen. Many have tried to navigate their way through this before, but none have come armed with Ray’s most valuable asset: a worthless scrap of paper. Bruce Hartman is a master of satire and with Potlatch he really raises the bar. Potlatch is chock full of clever wit and satire, but the characters never wink to the camera. The narrator’s improbable explanations are all so clearly and logically stated that the layman may miss the tongue-in-cheek nature of them. Hartman’s ability to translate false logic into believable fact is legendary in Potlatch. Potlatch is a definite must-read for any fan of satire… Just make sure to put on your tinfoil hat first. In summation… It’s hard to summate. The story is there, but it’s not very satisfying. I loved that, but you might not. Stay away from this film if you expect Disney-esque happy endings. Put it on your must-watch list if you like a real-world ending. In summation: probably the most unintentionally entertaining movie I’ve ever seen. Some movies stand out due to stellar acting, others stand out due to unexpected plot twists, some even stand out for bringing taboo subjects to the fore. There are a number or festivals and awards shows to celebrate the achievements of those films. On the other side of the spectrum, there are festivals that celebrate the worst in film every year, such as The Razzies. However, there isn’t a single festival to celebrate movies that are almost that horrible, yet either so expensive to produce or involving people far too famous to flop, that they skate by just under the radar of the Razzies (or over the radar?). The result is comedy gold! Unfortunately, the comedy is almost exclusively unintentional. In summation: The most overrated movie in the history of cinema. For forty-five years people have been saying that The Godfather is the gold standard in cinema by which all other -lesser- films should be judged. I’d never seen it. A few weeks back I finally set aside three hours of my life to see what all the fuss was about. I was sorely disappointed. At first I thought maybe I was just being contrarian, but I really liked Taxi Driver, which is another film from the same era which was critically very well received, so I’d like to think my opinion is objective. The wife and I recently went on a cruise aboard the Carnival Imagination. It was our third cruise on a Carnival ship, and was definitely the least enjoyable of them all. Don’t take that the wrong way, it was still an amazing vacation and we still had a great time, but on this particular ship, on this particular route, at this particular time, there just wasn’t a lot of ‘oomph’ to it. The meals were a bit more bland than our last trip (aboard the much lareger Carnival Triumph last year), the entertainment was somewhat lackluster compared to the same previous cruise, and there just didn’t seem to be the same attention to detail as the previous cruises. That is, of course, really nitpicking. I like to have flowers delivered to the wife at work at least once every couple of months. You know, like a good husband should. For several years I used 1800Flowers to deliver them, just because it was the only name I knew. The problem with their flowers is that they look great … for one day. By day two they are wilting and dying. This isn’t what one expects with the ridiculous price you pay to have flowers sent to someone at work. On a whim, I tried FTD flowers one Valentine’s day, and the difference in quality was drastic. The arrangement was more lush, the price was a bit lower, but the best part was that the flowers lasted a full week before they began to wither. I had been using them ever since. You’ll note I said had been using them. That all changed when I bought flowers for her on August 31st. 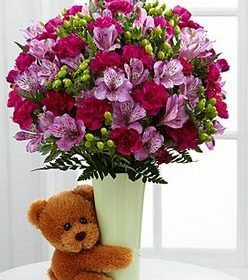 I ordered this beautiful arrangement for her, which I think we can all agree is a beautiful bouquet that any woman would be excited to receive. 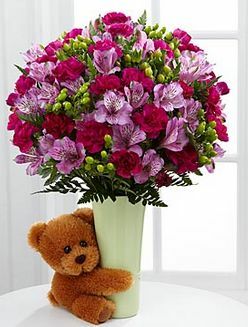 A cute little bear and a lush arrangement which is purported to be 17 inches high and 13 inches wide. I always pay extra to upgrade them to the best possible version. In this case, it was the ‘exquisite’ version of the bouquet which appears to have around two dozen blooms, with Peruvian Lilies and Mini Carnations making up the majority of the beautiful pink and purple color scheme. I placed my order, gave myself a huge pat on the back, and waited for the wife to text me how much she loved them. In summation: It doesn’t hold up. Taxi Driver is one of those classic movies that I’ve always heard about, but never taken the time to watch. Whenever I would hear references to it, I would think to myself ‘gosh, I really should watch that’, but by the time I was near a television it would be forgotten. 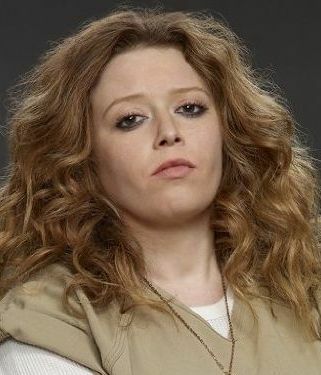 This changed, however, when I began watching Orange is the New Black. 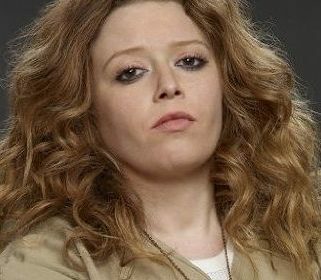 For reasons that I can’t properly explain, Natasha Lyonne‘s Nicky Nichols character always makes me think of a young Jodie Foster. Sometimes the process of writing is really frustrating. When I say ‘writing’, what I really mean is ‘editing’. Let’s say you’ve written a story and you love every word of it. Nothing can be changed because the particular phrasing in a certain section early in the story is absolutely necessary to explain why a character reacts in a particular way thousands of words later. You’ve read and re-read the story hundreds of times, and you are damn sure you can’t change that portion of it because doing so will destroy what you’ve so carefully built. Then, in the interest of making the best possible story, you leave the story on a shelf for a while to gain a bit of objectivity. When you pick the manuscript up (or open the file, as it were) after several weeks, you are still certain that the particular part in question must remain, but literally everything between those points must change for continuity and flow.